Indy Eleven announce today the signing of forward Ilija Ilić to its roster pending league and federation approval. 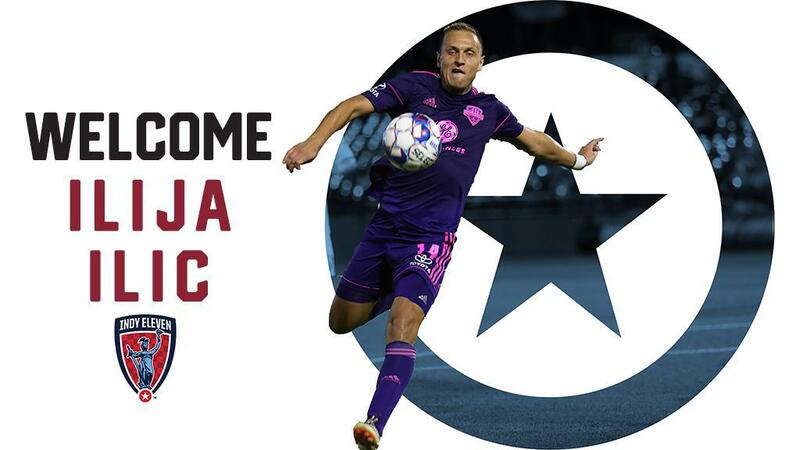 The former Louisville City FC striker is Indiana’s Team’s first new signing ahead of the 2019 USL season. Ilić was one of four inaugural signings to return to Louisville City FC’s roster in 2018. The 26-year-old tallied 13 goals and 10 assists in a record 32 games in his breakout season. Before penning his first professional contact in 2015, the Serbian attended Division II school Young Harris College in Georgia, where he set the school record for most points in a single season on his way to being named NCAA Division II Player of the Year in 2014. He also spent time with USL PDL side Ocala Stampede, scoring eight goals in 13 appearances for the club. Join Ilić and the rest of the Circle City squad by reserving your 2019 season ticket! A $50 deposit will secure your spot for all home games next season. More information is available at IndyEleven.com/season-tickets or by calling (317)685-1100.